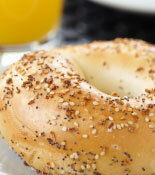 When you want a bold taste, our everything bagel is perfect. Garlic. Onion. And a little bit of everything you love.